From humble origins as a one-man business in 1977, Henry Goh has matured into one of the leading specialist IP agencies in the ASEAN region. With headquarters in Malaysia’s vibrant and cosmopolitan capital Kuala Lumpur and a sister office in Singapore, today Henry Goh employs more than 75 people. 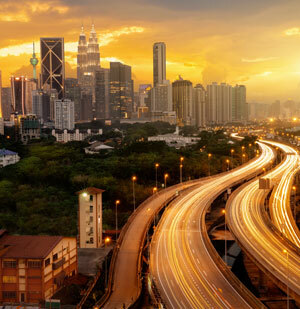 Beyond our three core operating jurisdictions of Malaysia, Brunei Darussalam and Singapore, we work in close collaboration with an extensive network of carefully-vetted foreign associates worldwide. Henry Goh provides IP services to a wide spectrum of clients from individuals and small businesses through to multinationals and Fortune 500 companies alike. Our teams of professionals handle all aspects of intellectual property protection and management, including pre-filing search and freedom-to-operate opinions, filing, prosecution, recordals, renewals and infringement and validity assessments. We also offer advisory services relating to exploitation and enforcement, working closely with external counsel when litigation is contemplated or becomes necessary. Another key aspect of our mission is to promote IP education and awareness in the business and academic communities. Henry Goh regularly conducts public seminars and workshops, provides speakers for local and international events, and publishes informative guides and newsletters. Despite the firm’s impressive growth, we have held true to our roots as a family business with a strong emphasis on professional ethics, high quality work, personalized service and being a responsible corporate citizen. Back in 1977, the concept of intellectual property rights was still a novelty in developing countries such as Malaysia. Nonetheless, a young legal executive named Mr Henry Goh had the vision that intellectual property would turn out to be the economic currency of future business. Armed with nothing more than a few forms and a typewriter, he established the firm that is known today as Henry Goh. Mr Henry Goh spared no efforts in promoting the concept of intellectual property as being a client’s most valuable possession. The firm experienced strong growth and success throughout the 1980s and within ten years of its founding, it went from being a one-man start-up to a 30-member firm. Over the next ten years, Henry Goh would go on to become one of the largest intellectual property agencies in Malaysia. By the end of the 1990s, the firm had opened a sister office in Singapore and was further representing clients in neighbouring Brunei Darussalam. Meanwhile, the continued expansion of our presence in Malaysia saw us move our headquarters every decade. 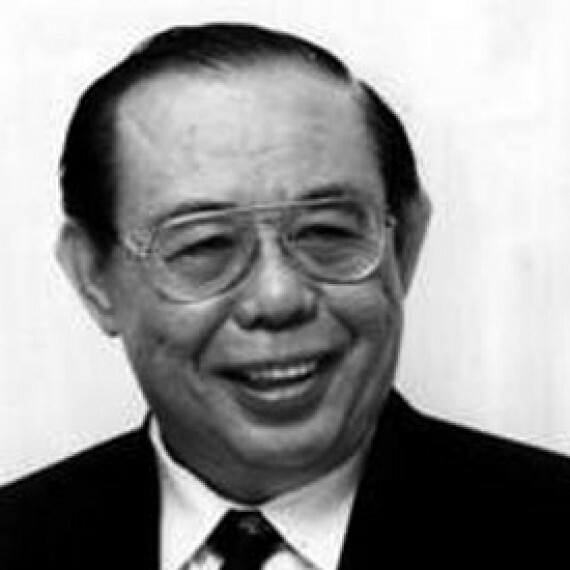 From being an early pioneer who may be credited with raising the visibility of Malaysia on the intellectual property world map, Mr Henry Goh became a prominent figure in the industry. An avid reader and a keen businessman, Mr Goh regularly imparted his wealth of knowledge by conducting seminars and presentations at academic and research organizations, chambers of commerce and business conferences. He guided the firm and its team of dedicated professionals to become consistently rated as the top IP firm in Malaysia for patent and trade mark prosecution. As an individual, Mr. Goh believed that one reaps what one sows. He was a strict though kind boss who insisted upon the highest standards of professionalism from those who worked with him. Regarded as a father figure, he was well loved and highly respected. He placed tremendous importance on charitable work and helping out the less fortunate and consistently fulfilled the firm’s corporate social responsibilities through various activities that benefitted society. The legacy of his kindness and generosity continues today. "Our success is a testament to the hard work, sacrifice and perseverance of this firm's greatest assets: its people. Without their untiring efforts, we would not be the firm we are today." The hard work, diligence and expertise of the people of Henry Goh continue to be recognized by our clients and industry peers around the world through the latest awards and recognition conferred on the firm and its leading professionals. Henry Goh has been selected as the recipient of “Malaysia IP Agency of the Year 2019” at the inaugural Global IP Awards, among an honoured pool of nominees from more than 50 countries. The Global IP Awards were developed by the IP Media Group, which publishes IAM and World Trademark Review (WTR), the world’s leading intellectual property intelligence, analysis and data platforms. The Awards recognise outstanding achievement in IP litigation, prosecution and transactional work. In reaching its decision, the editorial team identified the IP agencies and law firms in those guides that achieved remarkable success and considered what the market was telling them throughout the year before. Henry Goh has been ranked as a Tier 1 Firm for both our trade mark and patent prosecution work in Malaysia in MIP’s World IP Survey. 2018 marks the tenth successive year in which we have held such a position, evidencing a remarkable consistency in the high standards of work to which we subscribe. MIP’s annual worldwide survey of IP firms is conducted by a team of researchers based in London, New York and Hong Kong who seek feedback and opinions from firms and clients in 80 jurisdictions. The tiers reflect the perception of the leading firms in each market, with the top tier covering those firms having the strongest practices. Four professionals of our firm have been recognized as IP Stars in Malaysia by Managing Intellectual Property. The research has identified Ms Tham Sau Yin, Mr Dave A Wyatt, Ms Azlina Aisyah Khalid and Ms Oon Yen Yen individually as expert of experts in Malaysian IP Law. The MIP Handbook is the indispensible reference guide and directory for global in-house counsel and international firms since 1993. Since the introduction of separate rankings for law firms and agencies in 2013, Henry Goh has consistently been the sole IP agency to achieve Gold Band status in Malaysia in the WTR 1000 guide to the world’s leading trademark professionals. Furthermore, our Ms Azlina Aisyah Khalid has been listed annually in this guide as one of Malaysia’s Recommended Individuals. WTR 1000 is a comprehensive guide to the trade mark legal services market. The leading firms are identified based on factors such as depth of expertise, market presence and the level of work on which they are typically instructed. All of the individuals identified in this publication are included because they received substantial positive feedback during WTR’s exhaustive qualification research process. Henry Goh is listed as a Recommended Firm and our Mr Dave A Wyatt and Ms Oon Yen Yen are identified as Recommended Individuals for Malaysia in the IAM Patent 1000 guide to the world’s leading patent practitioners. IAM Patent 1000 is the world’s most extensive guide to leading private practice patent professionals and firms in the world’s key jurisdictions. It is dedicated to listing, and writing about, best-in-class patent prosecution, licensing and litigation practitioners on a global basis. As a result, it is an invaluable source of information for those looking to identify market-leading patent expertise at both the individual and firm level. Finally, Azlina and Dave have been recognized as Market-Leading Lawyers in Asialaw’s Leading Lawyers for their contributions in the field of Intellectual Property. At the same time Henry Goh is identified as a highly recommended IP firm in Asialaw Profiles. Asialaw’s guide to Asia-Pacific’s leading lawyers is the result of an extensive survey of senior corporate executives, in-house counsel and private practice lawyers who were invited to nominate leading legal practitioners who continue to exceed client expectations. Each practitioner listed has been nominated and endorsed by clients and peers for the quality of their work. The annual Asialaw Profiles guide is extensively researched, written and edited by a team of journalists based in the region. Coverage includes firms’ key practice areas and specializations, client feedback and recommended individuals. Regarded by many as the preeminent IP agency in Malaysia, Henry Goh cultivates deep and longstanding relationships with brand owners and, as a result, provides insight and solutions that go right to the heart of their business. The organisation recently marked its 40th anniversary; having focused on quality since its establishment, it certainly deserved to celebrate this milestone. Boasting “an impeccable reputation and highly qualified personnel, Henry Goh & Co is a trustworthy partner to rights holders”. Defined by its resolute focus on consumer service, profound technical nous and ambition to secure the most comprehensive protection possible, the globally attuned practice ably prosecutes patents nationally and before the world’s major patent offices. Marking four decades in business in 2017, the firm celebrated by expanding its international business development efforts and recruiting a new patent attorney specialising in electrical engineering and electronics matters.